OMNI FANDOM EXPO - SAWA: THE RETURN! SECOND OMNI FANDOM EXPO CONCERT! After performing an incredible concert at Omni Fandom Expo in 2018, SAWA is back in 2019 for SAWA - THE RETURN!! 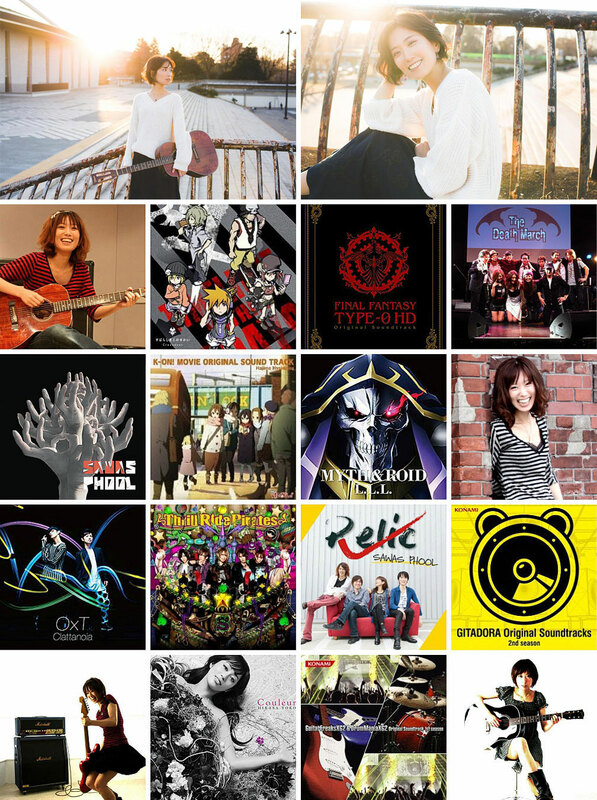 Known for songs from FINAL FANTASY TYPE-0 and THE WORLD ENDS WITH YOU, SAWA has made her mark as a singer and lyricist for anime and video games and currently is a member of the Square Enix produced band project, The Death March, as well as her original band SAWAS PHOOL! Along with her guitarist Nobutsune Nakahodo, she will be performing some of her favorite songs she's done over the years in an acoustic set that is not to be missed! 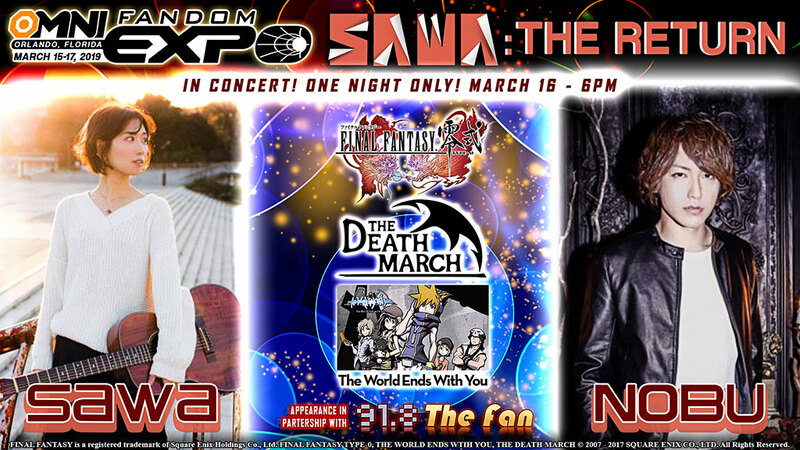 Attendees of this concert will get to witness SAWA and Nobu's performance for the first time together in North America at Omni Fandom Expo! FINAL FANTASY TYPE-0, THE WORLD ENDS WTIH YOU, THE DEATH MARCH © 2007 - 2017 SQUARE ENIX CO., LTD. All Rights Reserved. Admission: Free entry with a valid OMNI FANDOM EXPO 2019 pass.